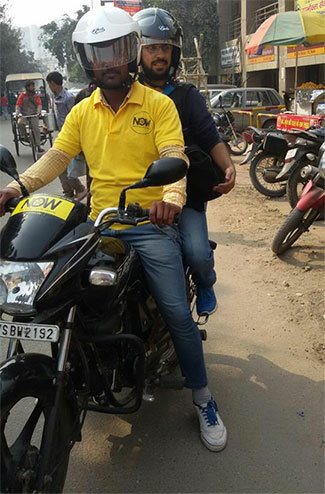 Bike taxi app N.O.W has raised an undisclosed amount in seed funding from boutique investment banking firm Maple Capital Advisors’ recently launched startup accelerator platform. The Noida-based company will use the money raised to expand operations across multiple cities and strengthen its technology backbone. “The N.O.W team is addressing a pain point and working on a business which is immensely scalable in India and emerging markets. With right funding they can make it happen and this encouraged us to assist them in their acceleration,” said Pankaj Karna, managing director, Maple Accelerator. N.O.W., run by TapTap Meals Pvt Ltd, also facilitates delivery of courier, food parcels, grocery and groceries. N.O.W’s parent pivoted from running food delivery app TapTap Meals to its current avatar in October. The N.O.W. app is available on Play Store. It started with 10 bikers in Noida and claims to facilitate about 75 daily rides. The startup has permits to operate in nine cities besides Noida, CEO Vivek Pandey said. N.O.W. was founded by Pandey, Bharat Khandelwal, and Sushant Arora. Pandey, an alumnus of IIT Kanpur, had previously worked with companies such as Flipkart, Goldman Sachs and Morgan Stanley. Khandelwal was earlier associated with Times Internet and Unicon Investment Solutions. Arora formerly worked with Flipkart and has experience in supply chain management. The bike taxi segment has been receiving a lot of investor interest of late. Madhatters Voyage Pvt Ltd, which runs a two-wheeler taxi service called Bikxie, secured an undisclosed amount in angel funding earlier this month. Baxi, which runs a bike-ride hailing service, has raised Rs 10 crore (around $1.4 million) in a seed investment round from a clutch of HNIs. Another player, Ace Fenders Travels Pvt Ltd, which runs the M-Taxi app, received investment from angel investors Mandeep Singh and Jairaj Singh.